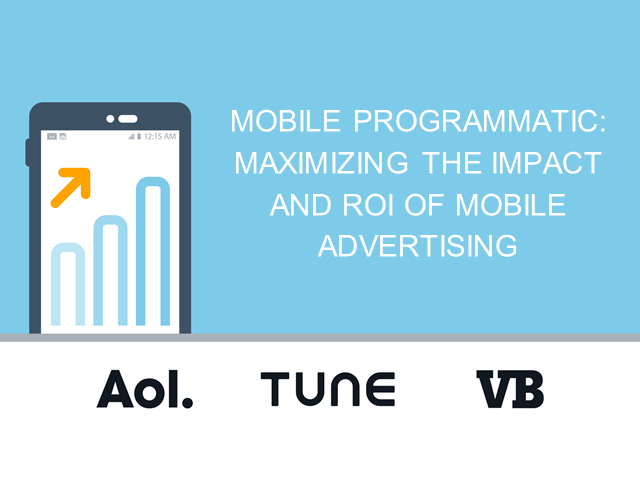 More than half of all programmatic display dollars are expected to go to mobile this year. However, a few myths regarding mobile continue to persist and are keeping brand advertisers from taking a more holistic approach to their marketing. With the explosion of mobile, it is imperative that marketers better understand how they can activate the vast amount of consumer data already at their fingertips to more effectively allocate their marketing spend and maximize returns. In this webinar, experts from TUNE and AOL will arm you with critical insights on the next generation of mobile marketing. Kelly Mullins of TUNE will discuss how the data sitting inside your app can be used to create targetable audience segments and power highly effective mobile programmatic campaigns. Michael Brooks of AOL will dive into the best practices of using this data to achieve marketing goals across all screens.